At long last it is here, we’ve seen it, heard about it but we couldn’t touch until now. Facebook’s iPad app has finally been released in the iTunes app store. We already know that the Facebook iPad app will quickly rise to the top of the lists. After months of speculation and false hopes, Facebook stated Monday that its official iPad application became available as a free download. Because of the vast popularity of the iPad, Facebook’s iPad app will benefit not only Facebook but Apple and their efforts with their tablet. Although there are many other tablets out there, the iPad has opted to be the top tablet overcoming the expensive price of the iPad. This slick-looking iPad application could boost the sales of iPads over similar Android-based tablets. 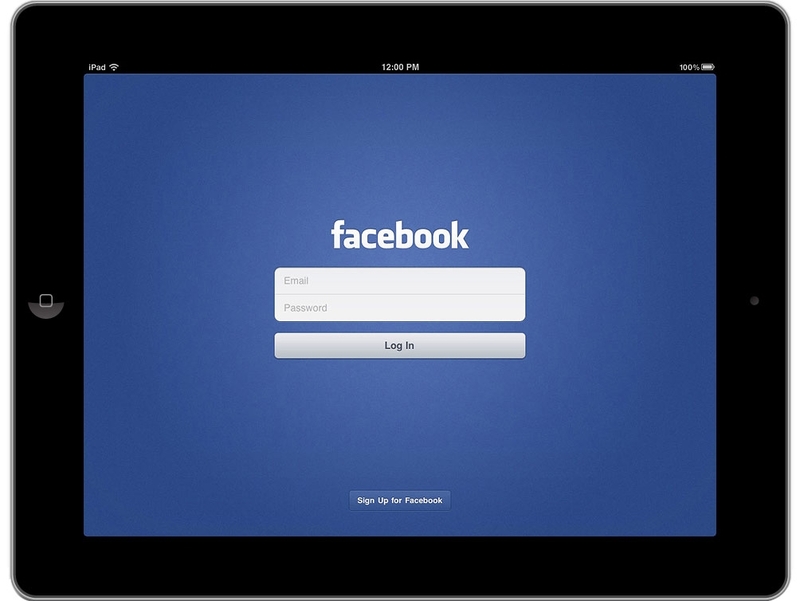 The completion of the Facebook iPad app will keep people immersed in the Facebook culture and possibly attract even more users. According to recent stats, Americans spend an average of 16% of their online time on Facebook and other Facebook mobile applications. In a blog post by Facebook’s software engineer Leon Dubinsky, he explained that the new iPad app is supposed to immerse the user and create a fun experience on a tablet. 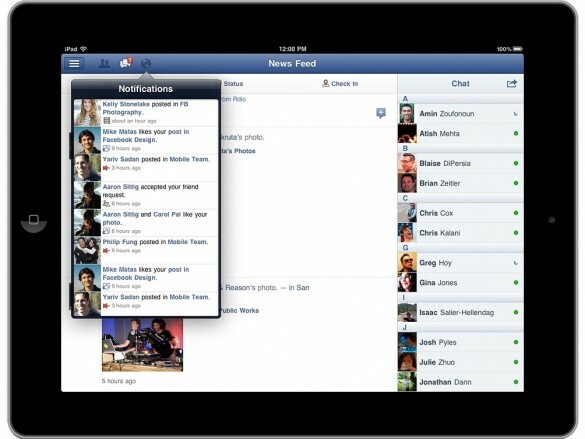 Facebook’s iPad applications highlights multitouch gesture inside the app. Being able to fluidly move through the application and interact with gesture will create a better experience on the iPad. Photos and videos are given prominence in the app and can be viewed full-screen. 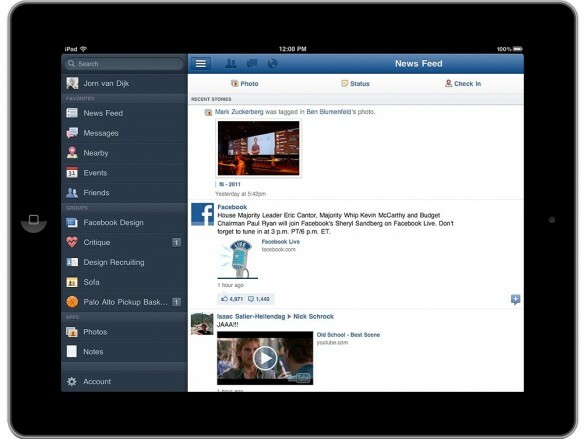 Users can also capture photos and videos with the iPad and put them directly into the Facebook news feed. 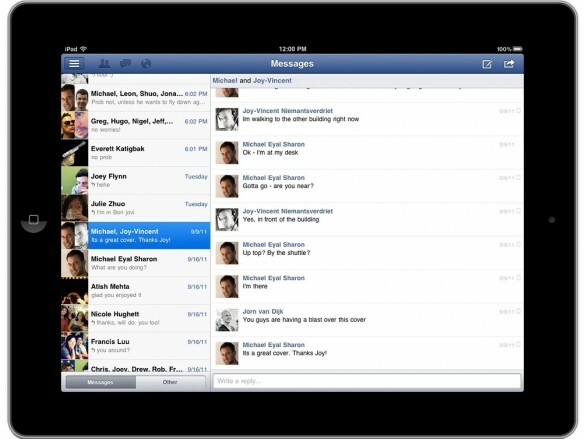 Gaming and Facebook Chat are also major components of the app. The release of this application too so long because of disagreements between Apple and Facebook about the integration of Ping, Apple’s music social service. Since then it looks like the talks went well and now the application is here. Go to the iTunes app store and search for Facebook on your iPad and it should show up by now. Enjoy and let us know what you think about it.